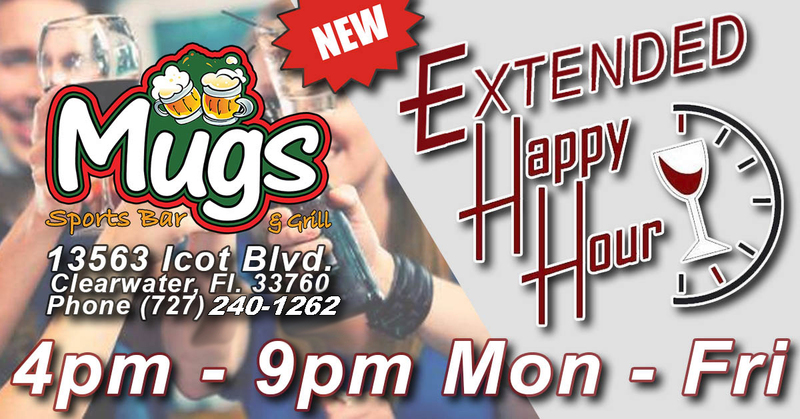 NEW Extended Happy Hour from 4pm - 9pm! We have the Biggest Chicken Wings in Tampa Bay, Karaoke 7 nights a week and Free Wings On Monday and Thursday Nights! In April of 2015, Mugs Sports Bar & Grill opened its doors in Clearwater, Florida. Centrally located in Pinellas County, Mugs Sports Bar & Grill is one of the largest Sports Bars in the Tampa Bay area, spanning almost 16,000 square feet. One of the best features is the outdoor open air patio bar that allows patrons to sit outside enjoying the fresh air, enjoying lunch or dinner and a cold drink. Mugs Sports Bar & Grill keeps 32 cold beers on tap, with many craft beers to choose from. Happy Hour is Monday through Friday from 4pm to 9pm. Our Buffalo Style Chicken Wings are the biggest in the business! We cook them properly, locking in the flavor and they are so juicy! Our wings are NEVER frozen, and one bite will tell you all you need to know. You can get them naked (unbreaded) or regular, and you can have them plain or dipped in one of 14 sauces shown in the chart below. We have a 6,000 square foot multi-purpose room used for events, birthdays, parties, company functions and more. Plus, we offer Karaoke 7 nights a week and Trivia on Tuesday Nights. See the Karaoke Page for more information. FREE WINGS are given to everyone seated between 5pm – 6pm on Monday and Thursday nights as samples. It’s the Chef’s choice as to the flavor offered, but generally Mild Wings are provided. You must be seated for Karaoke to receive the wing samples. We have a large menu selection, packed with choices like Burgers, Hot Dogs, Steaks, Ribs, Chicken, Burritos and we have a different soup of the day each day of the week. 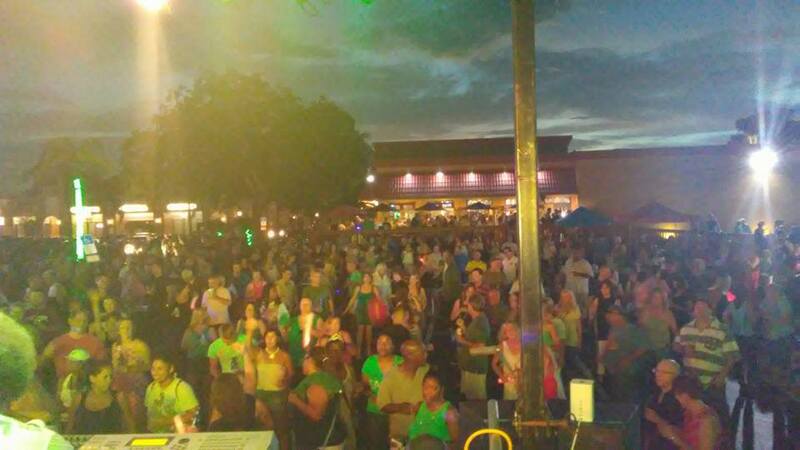 Almost 2000 people showed up for the Black Honkeys during our Parking Lot Party on July 30th. some great music. Our next show coming in October (To be announced soon) is going to be even bigger! The Best Wings in Tampa Bay also deserve the Best Wing Sauces – and here are our 14 flavors and a description of how they taste. Traditional Buffalo – Straight from Buffalo, NY. The Original Recipe that Started it all! Nuclear – Very hot, Dry sauce with a good flavor. You can get our wings Bone In or Boneless, Breaded or Naked and you can order them All Drums or All Flappers.